It’s time to get down to business. After the Monsters of the Midway (4–3) handed the Hiram Terriers their seventh loss (0–7) of the season by a score of 23–7, all eyes are now on UAA play. Having wrapped up their non-conference games for the year, the Maroons will face stiff competition from Case Western, Carnegie Mellon, and Wash U to finish up the season and challenge for a playoff berth. Chicago put together a good offensive showing, but still sees room for improvement. The red zone offense was not all it could have been; a few times, the Maroons failed to capitalize in Hiram territory and were left with missed opportunities. Despite some offensive shortcomings, defense and special teams sparkled in Ohio. The Terriers were held to a miniscule 26 rushing yards on 31 carries. Though the opponent may not have been daunting, these defending Maroons did not look much like those who gave up 41 points against Wittenberg last weekend. With Hiram in the rear-view mirror, Chicago heads home to begin the UAA slate. “[The win] gives us a little momentum going in, a little extra confidence,” fourth-year wideout Dee Brizzolara said. The players feel the gravity and importance of UAA play, and are up for the challenge. Just because it’s serious preparation, though, doesn’t mean it can’t be enjoyable. “UAA play should be a lot of fun. We get a chance to prove to the league we are a good team. It is a new season for us and we can’t wait to go out there and try to win a new championship,” Cortina said. The South Siders have been talking about this championship all year. With a chance still left to go 7–3, and undefeated in the UAA, now is the time to back up their words. “These last three games have a different feel to them,” Ryan said. That’s the simple version. The tough part will be channeling that feeling into a victory. 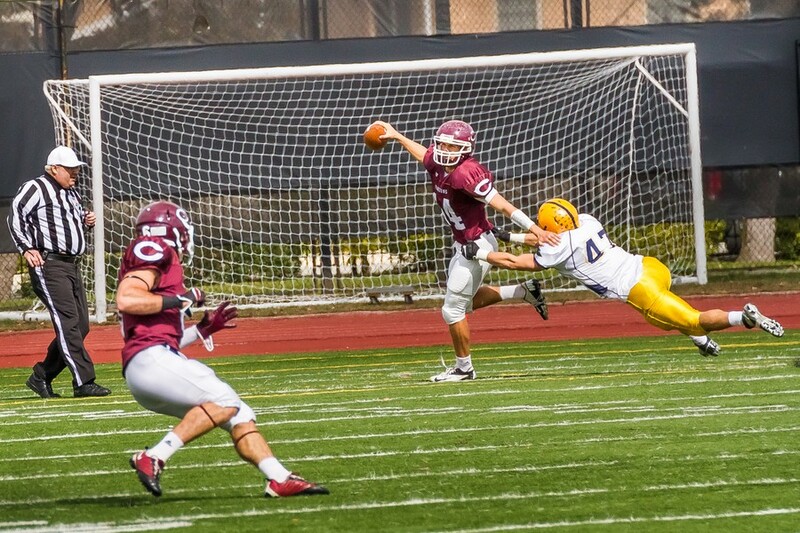 The Maroons begin their UAA quest on Stagg Field at 1 p.m. on Saturday.